The Stealth Bear Market Cycle. Why it could Wreak Havoc with your Portfolio. So what is all this talk about a “Stealth Bear” market and what does it mean for your investments? A traditional Bear Market is characterized by falling stock prices, a strong selling environment, and general market pessimism. It is also one that analysts define as declining 20% from its peak. So in a traditional Bear Market, investors anticipate broad stock declines and can take appropriate measures to protect their assets. In a Stealth Bear cycle, they don’t necessarily have that foreknowledge which is why it can be so treacherous. True to its name, a Stealth Bear Market is masked and declines are not as obvious. The trouble lies under the hood, so to speak. Let’s take a look back at 2015. On the surface, things didn’t look all that bad. The Dow was down just 2.2% on the year, the S&P 500 off just 0.7% while the NASDAQ finished up 5.7%. Some stocks absolutely soared in the past year like Netflix (+139%), Amazon (+115%), Google (+45%), Expedia (+45%) and Facebook (+34%). The problem is, these headline grabbing stocks did all the heavy lifting for market averages and gave the false impression that Wall Street was not only delivering high returns for everyone but was also fixed in a stable Bull cycle. The average stock, however; was down about 4% last year. Half of Small Caps are now down 20%, the median stock in the Russell 3000 has dropped 20%, and almost four out of five S&P 400 Mid-Cap equities are now in solid Bear Market territory. Remember, a healthy Bull market is characterized by a consensus of gains not a handful of stocks that drive an anomaly and foster a false sense of market security. So the current environment does not really place us in “Bear” or “Bull” country by the formal definition of either market condition. According to a growing number of strategists, we are undoubtedly in a Stealth Bear universe. True to form, the Big Board prognosticators claim market momentum for 2016, but their overly rosy portrayal of the indices ignores the exchange’s risk cycles and the presence of the Stealth Bear lurking within the internal market data. They also turn a blind eye to all those downward trends gripping many securities particularly within the energy sector which suffered double digit losses last year. And there’s something else they are ignoring … the sudden flight to safe haven investments. 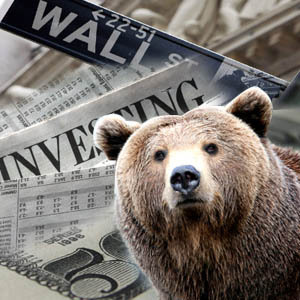 With the Chinese markets in free fall, the Middle East in turmoil, global terror on the rise, oil prices pushing historic lows, and renewed Russian, Iranian and North Korean aggression … the “stealth” Bear seems to be stepping out of the shadows. What is now being called the Meltdown of 2016 is sending investors to gold which is rallying in the New Year. Swiss America representative and senior analyst James Carrillo issued a major stock market "sell" warning in December 2015. According to Mr. Carrillo, "The stock market momentum has now officially reversed course, signaling the beginning of a long-term downtrend, if not a full-fledged crash." CLICK HERE for a free copy of Swiss America's 2016 "Right On The Money" newsletter with Mr. Carrillo's story, as well as 2016 economic perspectives from; Jim Rickards, Craig R. Smith, Dean Heskin, Axel Merk, Jim Cramer and Dennis Miller. It is becoming clear that as world markets continue to stumble and the global sell-off gains momentum, gold will attract investors seeking a sound diversification strategy and a solid store of value.